Our Team has served clients and their families for over 25 years, leveraging over 30 years of industry experience as a team. Mary and Megan recognize some of the concerns and needs of successful women and families. This can present a unique and daunting challenge requiring a more balanced, holistic approach to their lives and their finances. -Investing is a marathon not a sprint. -Investing is not rocket science. -The best investment you can make is always in yourself. 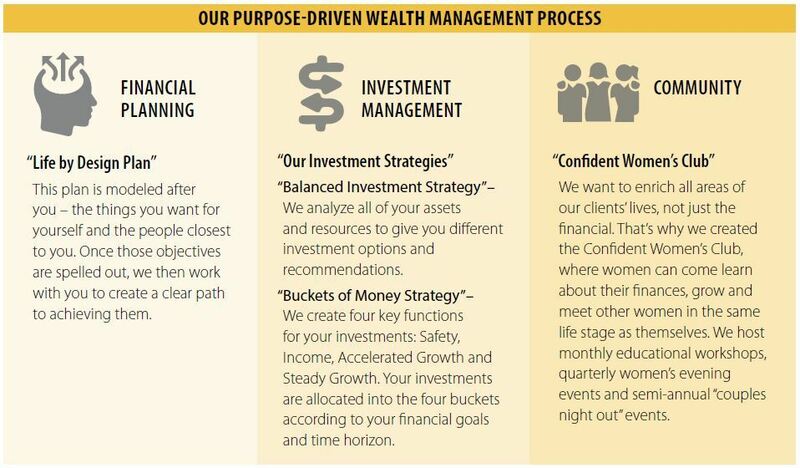 Mary has been helping families manage and preserve their wealth since 1991. She earned the Certified Investment Management Analyst (CIMA®) designation through the Wharton School of Business in 1999, the Chartered Retirement Planning Counselor (CRPC®) through the College of Financial Planning in 2010, The Certified Divorce Financial Analyst (CDFA®) through the Institute for Divorce Financial Analysts in 2014, and earned a bachelor’s degree in physics and a minor Military Science from South Dakota State University in 1984. In 2011 through 2018 Mary has qualified for the Barron's Winner's Circle-Top Women Advisors Summit. She was awarded the Business Achievement Award through EmBe's Tribute to Women celebration in 2017. Mary is a member of the Investment Management Consultants Association (IMCA) and the Sioux Falls Estate Planning Council. Mary is currently serving as the Chairman of the Board of Governors for the South Dakota State University Foundation. She participates in the Sales and Marketing Executives organization and the Sioux Falls Chamber of Commerce. While at SDSU, Mary received her military commission and attained the rank of captain while serving in the United States Army. Mary married Dave in 1984 and together they have three children and devote free time to their family and enjoy a wide range of outdoor activities. *She loves to canoe with the loons and eagles in Ely, MN. *Paratrooper/Airborne qualified as a US Army Captain. *Mary shares a birthday (April 26th) with her son Max. Megan leads our financial planning services and brings a wealth of experience in financial, retail and customer service to our clients and their families. She completed her bachelor’s degree from South Dakota State University in 2015 and is currently enrolled through Pepperdine University and the Dalton Certified Financial Planning program. Previous to Baird and banking, she spent years in the cosmetology industry. While completing her bachelor's degree from South Dakota State University, she transitioned to banking and was promoted to the title of lead customer representative and personal banker for a regional bank in Sioux Falls. Megan brings value to her clients and community by being an educator, resource, and colleague. Megan gives back to the community by volunteering with Feeding South Dakota and the Sioux Falls Food Pantry. She also serves as a mentor in the Big Brothers/Big Sisters Program. She is a board member of the Sioux Falls Empire Stater's, a member of Sioux Valley Optimists and committee member for Leadercast Sioux Falls. Megan enjoys her free time with numerous outdoor activities including riding motorcycle, golfing and spending her time with loved ones. *Megan enjoys her free time riding her Harley Davison Motorcycle. *She has a tabby cat's named Oliver & Ali. *As a military child she moved 10 places before turning 10. 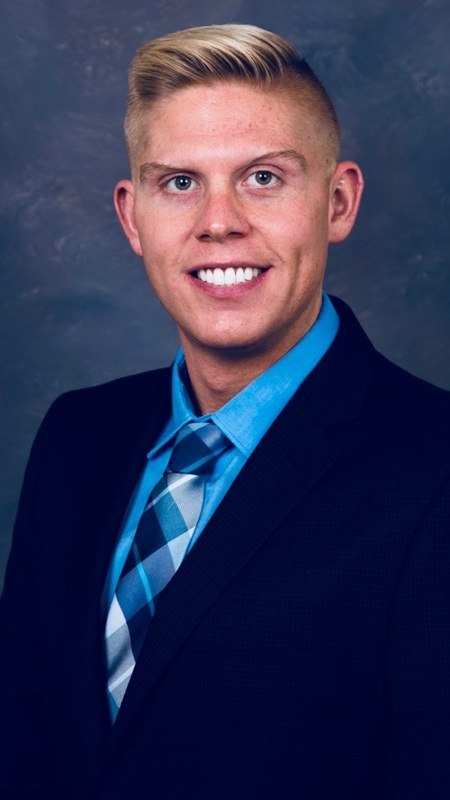 Tyler recently joined Baird’s Sioux Falls branch in 2018, contributing to their many years of experience. Tyler specializes in client service and loves getting to know clients. His attention to detail and thorough work ethic ensure that client’s needs are not only met, but exceeded. Tyler graduated from the University of South Dakota in 2014, where he earned his Bachelor’s Degree in Finance. Previous to joining Baird Tyler held multiple positions in the financial industry including lead teller at CorTrust and sales specialist in student loans at Wells Fargo. Tyler resides in Sioux Falls where he has lived for the past 10 years. He makes a point to be involved in the community by volunteering at the South Dakota backpack program where he helps supply food to the underprivileged youth. When he has free time he loves to play volleyball, basketball, and spend time with his two cats; Gurl and Socks.